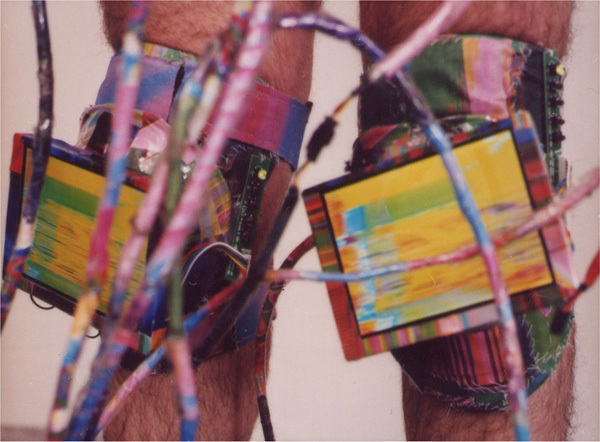 VideoWear is garb for a retro-futuristic universe where technology has developed as an extension of organic systems. 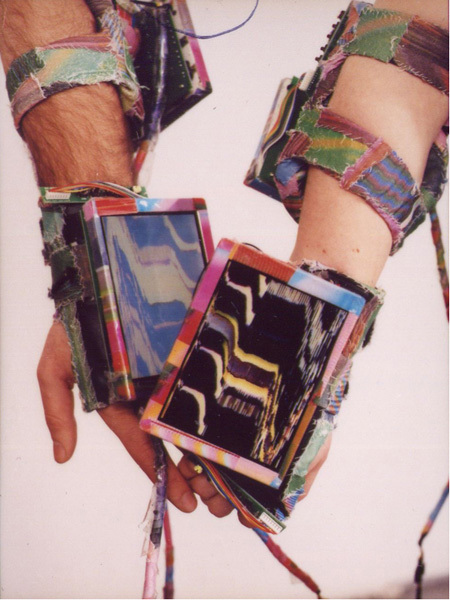 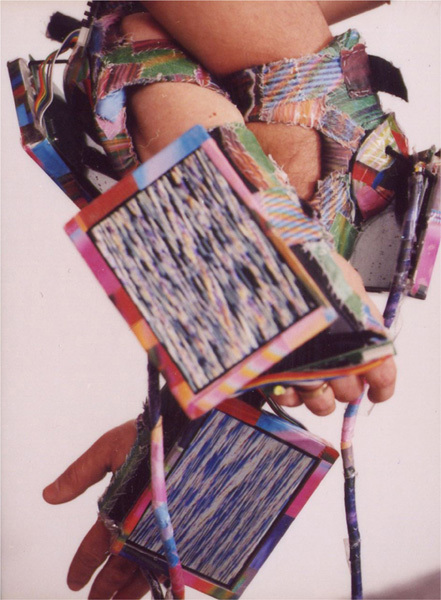 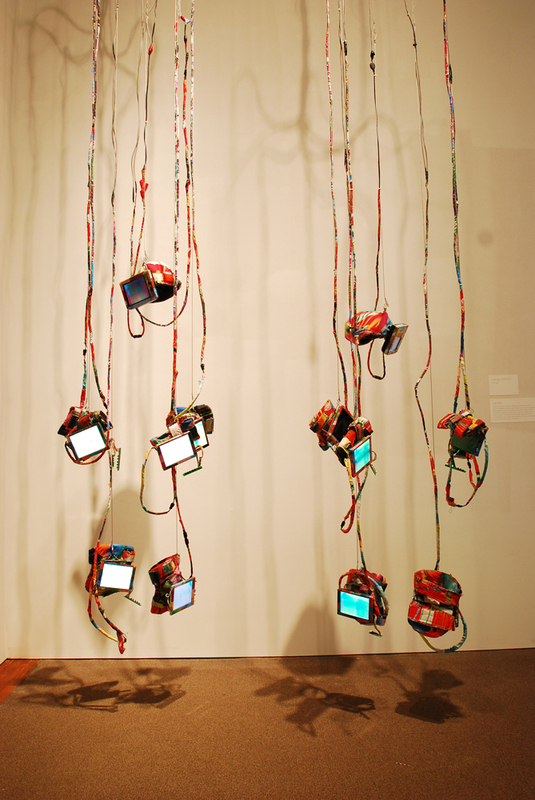 14 LCD screens, interconnected by hundreds of feet of wire, are embedded in protective sportswear and covered with sewn patchworks of video stills. 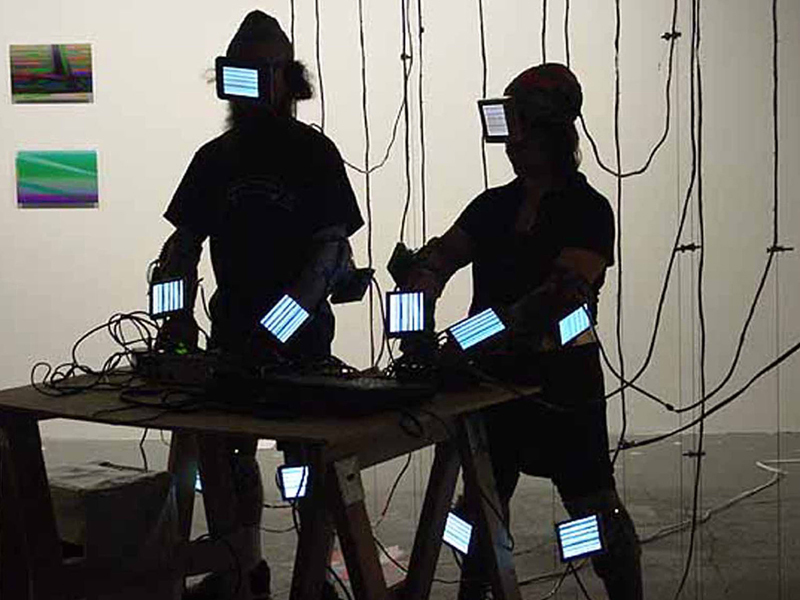 Performing with the VideoWear we become Glimps; video marionettes. 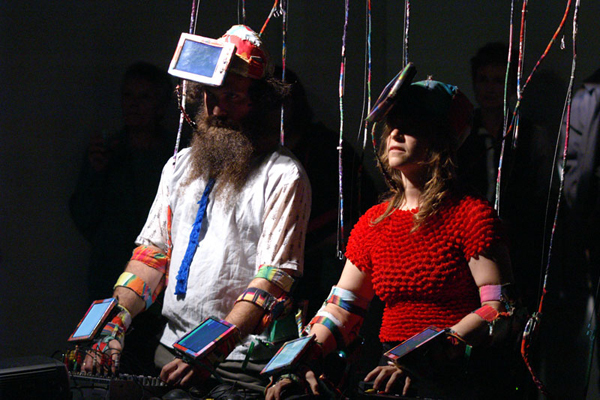 In our absence, the Glimps have annihilated, leaving behind our Glimps Avatars and puddles of video signal.